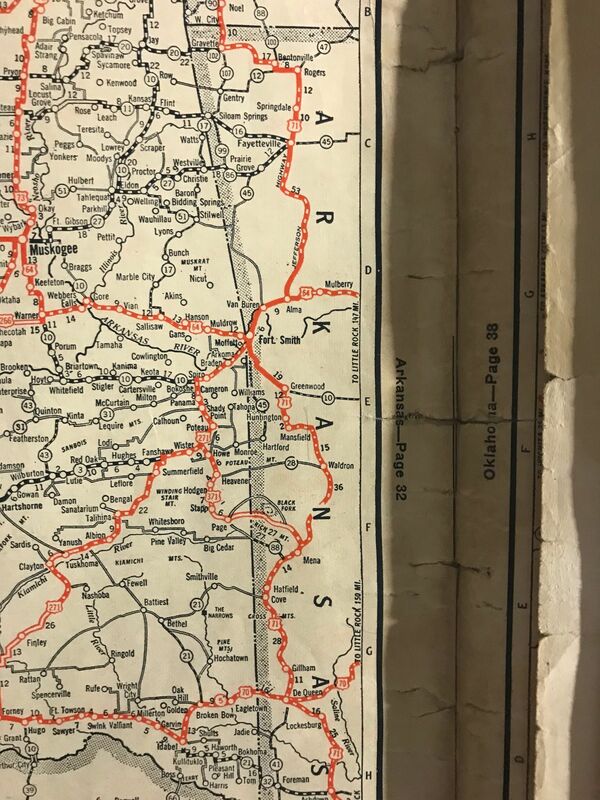 The 1927 Clasons Atlas shows same routing but all as US 271. Wow, thanks! That's the third map I've seen that shows this road as US 371. When I first saw it on a map, I thought it was a mapo but I've recently seen this map and a map of Lake Wister that showed US 371. Three sources are like smoke: there has to be a reason that US 371 appears on these maps. It was apparently officially proposed by one or more parties. I may bite the bullet and go to Oklahoma City and see if ODOT has a library that is open to the public and do some research. Mapmikey, do you mind if I use this map on my blog? I will credit it to you however you want me too. Have you seen the map on page 79 of the 1929 Oklahoma Annual Highway Report? Appears to show US 271 southwest to Hugo and US 270 over towards Mena AR. I have found the 1927-28 Oklahoma Highway Report. It has a traffic data count and it shows US 271 to be assigned to the road south of Porteau and headed for Heavner and Page.